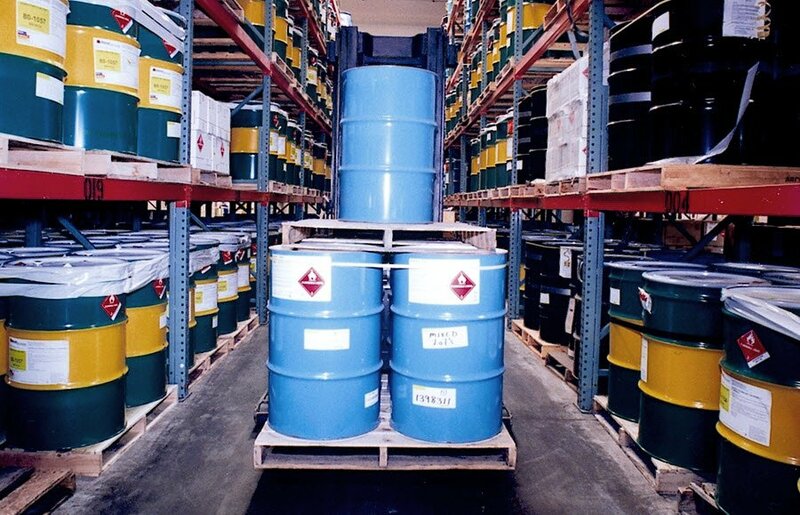 If performed incorrectly, hazardous material storage can be an extremely dangerous undertaking. A single slip up or oversight doesn’t just impact line items on a balance sheet, it puts lives at risk. With the right provider, however, hazmat storage can be just as safe as the storage of any non-hazmat item. 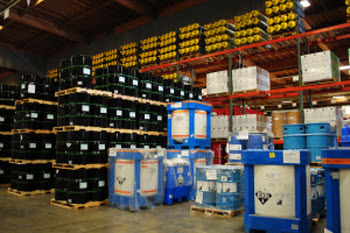 Can One Warehouse Handle All Types of Hazmat Chemical Storage? Several types of chemicals occupying the same storage facility. Sounds dangerous, right? It doesn’t need to be. As consumers we live in a world where we are forced to constantly make decisions. Some require a great deal of time and research such as buying a car and some are simpler such as buying lunch. Although some may argue that is a greater feat. Nevertheless, there are endless options. With all the options available today, how do you decide and be confident in your decision? Well, chemical logistics is no different. There are a variety of options to be considered. Although we think we are AWESOME. Your choice for a chemical warehousing facility should not be based off our bias. We want you to be fully confident and 100% on board with your decision. That is why we have a worksheet with 7 tips to choosing a partner for chemical storage and distribution. These will help you find what questions to ask when looking at prospective partners and key things to look for. Check the provider’s reputation with objective sources. Don’t rely on the 3PL’s marketing claims to gauge capabilities. Check those claims against the opinions of outside companies and agencies familiar with the provider. For instance, local fire departments with jurisdiction over the provider’s warehouses are part of the local permitting process and will be aware of the company’s ability to manage health, safety, security and environmental requirements for hazmat storage. With a little research, it may also be possible to identify the 3PL’s current or past customers. Call up these companies and ask for a candid assessment. Choose a partner for present and future needs. Too many Requests for Proposals ask only about a 3PL’s ability to address current needs. Instead, you should anticipate your needs well into the future and look for a partner that can satisfy these requirements to avoid the cost and risk involved in switching providers. For instance, today you may not be moving goods via rail, but you may want to exploit this lower-cost shipping option in the future. In that case, choosing a warehouse with a rail spur is smart planning. Likewise, your need today might be for simple pallet in/pallet out storage and distribution. But what if future requirements involve, for instance, repackaging 50-gallon drums into ten 5-gallon pails? Can the provider handle the job? Does the provider even want to do this kind of work? Look for a provider of integrated services. Maintain the integrity of the product throughout the distribution cycle, including adherence to temperature control requirements. Create a closed loop supply chain by bringing reusable containers back to the warehouse after deliveries. For more tips on vetting chemical warehouse providers, read our Insight paper: Chemical Logistics: 7 Tips for Choosing a Partner for Storage and Distribution. Whether you’ve been in the game for years or have just jumped in, you know when it comes to chemical warehousing, a whole new rule book applies. 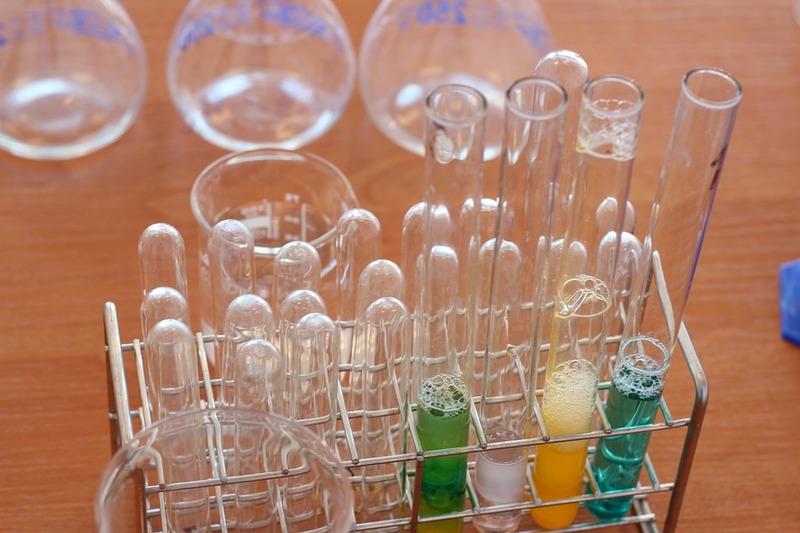 What do chlorine, nitrogen and ammonium hydroxide have in common? Well if you guessed THEY ARE DANGEROUS… You are correct! These are EXTREMELY dangerous chemicals that require proper handling. Without the proper knowledge and necessary caution these products can create havoc for any person or company. Hazardous chemicals cannot be stored at any location. They have a huge liability and not just any one can handle this product. It can become a headache trying to find the right partner to store your product with and trusting it will be in good hands. Weber is here to try and reduce the stress; we have put together some tips to help you in the selection process for a chemical warehouse partner. The rules of warehouse storage for many product types are quite similar. But when it comes to chemical warehousing, a whole new rule book applies. You’re not going to choose just any 3PL to store and ship your chemical products. 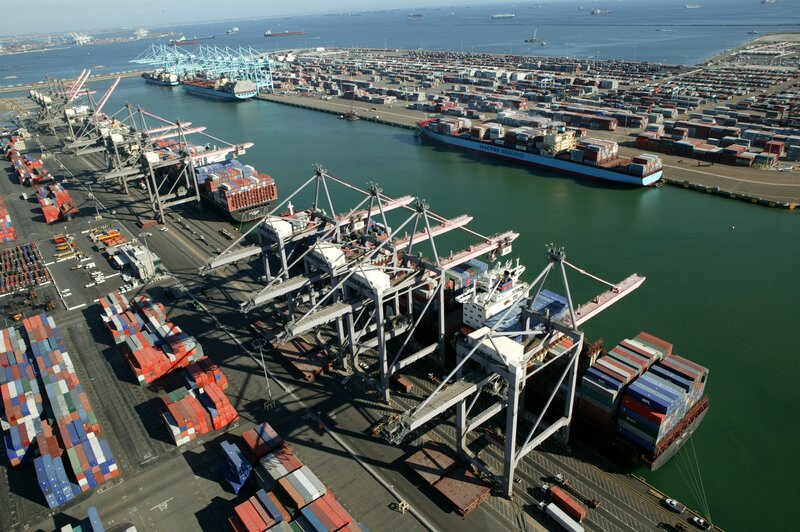 The liability and safety risks associated with hazmat storage and shipping are just too great. But how can you evaluate 3PLs to ensure you’re working with an expert company that can actually advise you on proper procedures for storage and handling? Here are three tips for your vetting process. Read our Insight paper for all 7 tips. 1) Look for experience handing the class of chemicals you market. 3PLs that handle one class of chemicals are not necessarily qualified to handle others. For instance, non-regulated chemicals do not require the same stringent storage and handling procedures as flammables, oxidizers, explosives, corrosives, and other hazmat substances. Flammables, for instance, require firewalls and in-rack sprinklers. Make sure the chemical warehouse provider understands the requirements for your class of chemical and has the necessary operating procedures, permits, and physical environment to store and handle such products. With chemicals, fewer miles are better. For one, hazardous chemical transportation is dangerous, and more miles means more risk. Secondly, transporting chemicals is expensive. Commercial drivers with a hazmat endorsement on their licenses earn 15%-20% more an hour than other drivers. Equipment and insurance costs add to this expense. The location of the provider’s warehouse is very relevant to the goal of reduced miles. Finding a provider that is centrally located to efficiently reach your customer base will reduce your costs and risk. 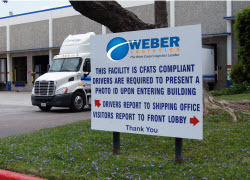 Weber Logistics serves the chemical warehousing needs of many large companies who need a distribution point in California. 3) Choose a partner for present AND future needs. Too many Requests for Proposals ask only about a 3PL’s ability to address current needs. Instead, you should anticipate your needs well into the future and look for a partner that can satisfy these requirements. This avoids the cost and risk involved in switching providers. For instance, today you may not be moving goods via rail, but you may want to exploit this lower-cost shipping option in the future. In that case, choosing a warehouse with a rail spur is smart planning. Likewise, your need today might be for simple pallet in/pallet out storage and distribution. But what if future requirements involve, for instance, repackaging 50-gallon drums into ten 5-gallon pails? Can the provider handle the job? Does the provider even want to do this kind of work? Chemical Storage - Are you compliant with CFATS? Do you operate a high risk chemical facility or do you sub-contract to a 3PL who does? The Chemical Facility Anti-Terrorism Standards (CFATS) identifies and secures chemical facilities that constitute the greatest security risk. In this day and age, if you outsource chemical storage and distribution, it’s critical that you partner with an experienced provider. Read our guide: Chemical Logistics: 7 Tips for Choosing a 3PL Partner. Handling corrosive chemicals, whether liquid or solid, is a strictly controlled process. Many risks present themselves if proper specifications and handling methods are absent. Fire, explosions, leaks and human contact are a few of the unfortunate circumstances that could occur if the warehouse is inadequately constructed and the personnel are not sufficiently trained in corrosive storage and handling.